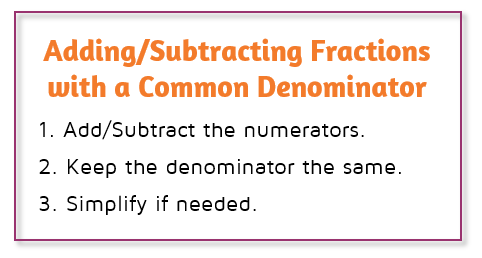 If you're new to adding and subtracting fractions or just want a refresher, make sure to check out the lesson on adding fractions with a common denominator first. 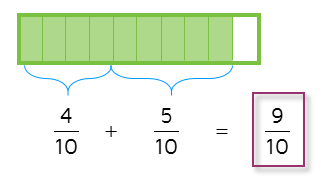 The basic idea is that fractions must have the same denominator (bottom number) in order to combine them with addition or subtraction. When the denominators are the same, the whole has been split into equal pieces that are the same size. If the denominators are not the same, the pieces are not the same size and the two fractions cannot be combined as they are. 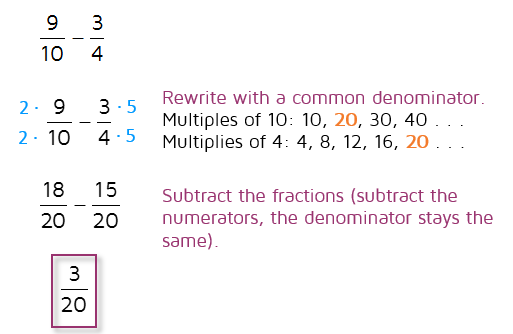 If the denominators are the same, you can combine two fractions together with addition or subtraction. Just count up the pieces using the numerators. 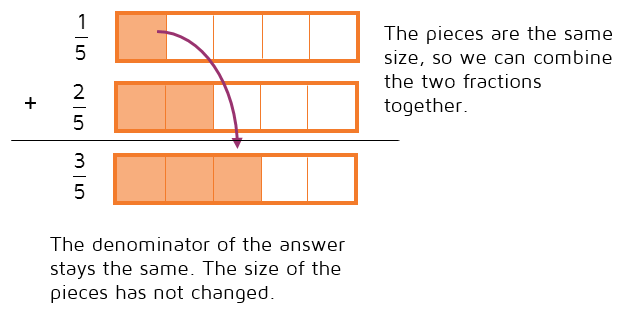 The size of the pieces does not change, so the denominator stays the same. 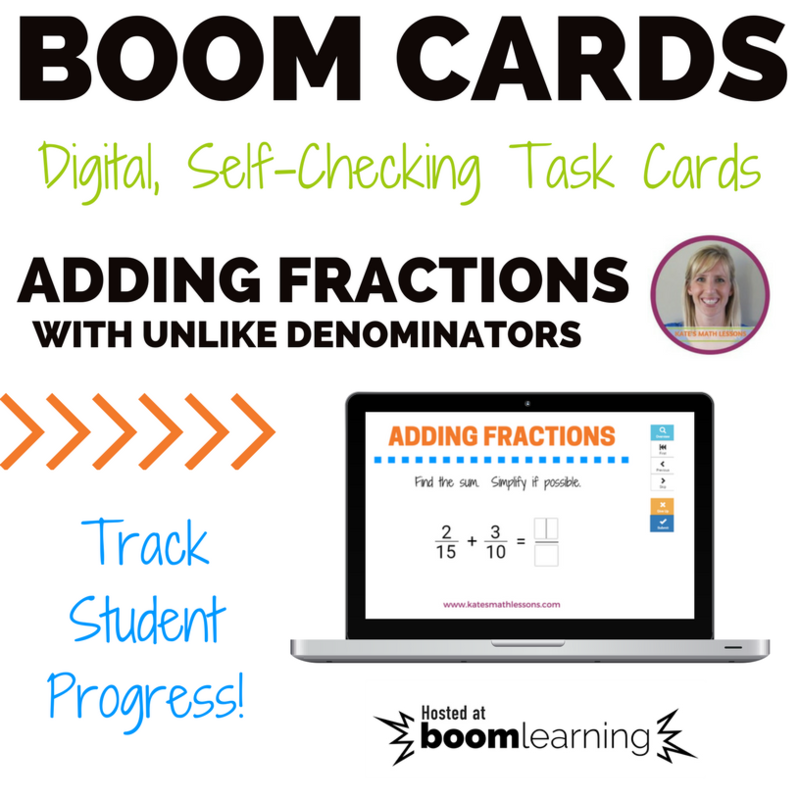 Check out the lesson on adding fractions with a common denominator for more examples. Next, let's look at what to do when the denominators are not the same number. When two fractions have different denominators, that means the pieces that the wholes have been split into are not the same size. We cannot combine them with addition or subtraction until we "fix" them by finding a common denominator. There's more than one way to find a common denominator. We usually want the smallest number possible to use to make things easier, so we're looking for what's called the lowest common denominator (LCD). This is also called finding the least common multiple (LCM). 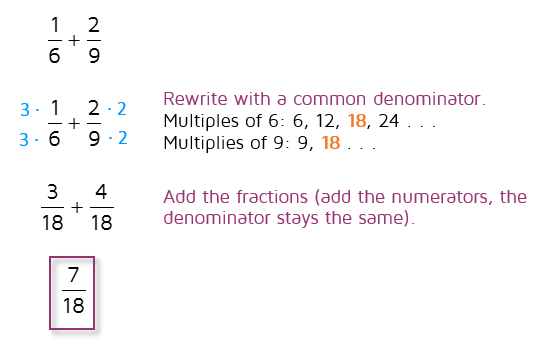 One way is to list the multiples of each denominator and look for the smallest number they have in common. Multiples of 5: 5, 10, 15, 20 . . . .
Multiplies of 2: 2, 4, 6, 8, 10 . . . . The smallest multiple that the two denominators have in common is 10, so we can rewrite the two fractions using 10 as the common denominator. To do this, we need to multiply both fractions by a "fancy form of 1." Make sure to multiply the numerator and denominator of the fraction by the same number. Once your fractions are rewritten with the same denominator, you can combine them together with addition or subtraction. ​In the problem above, 18 is the smallest possible number you could have used as the common denominator. You could have used a larger number that is also a multiple of 6 and 9, such as 36 or 54. 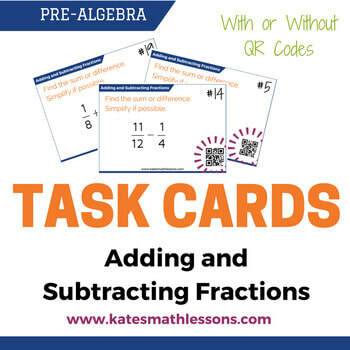 If you used a larger number you would just need to make sure to simplify the fraction in the end. In the problem above, 20 is the smallest possible number you could have used as the common denominator.You could have used a larger number that is also a multiple of 10 and 4, such as 40. If you used a larger number you would just need to make sure to simplify the fraction in the end. Want to see more examples? Check out the short video below. 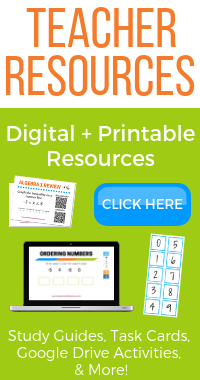 ​Want to learn how to multiply fractions or divide with fractions?